Molded condyle pads for superior fit and comfort. Low profile. Geared polycentric hinges. Rigid uprights for additional medial-lateral support. Maximum knee support. 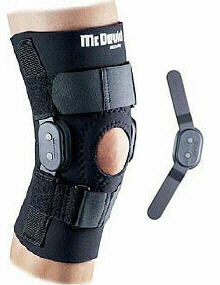 Fits left or right knee.